There have probably been a bunch of community reviews for this game now but I thought I'd throw my own into the pile and also provide a small sweetener in the shape of an unboxing of the European "ludger Kresnik" edition of the game in there as well. It’s not too often you find direct sequels for JRPGs and those which do get made are often though of as inferior to their predecessor and the series in general. Just think of FFX-2, or FFXIII-2 (though XIII was a turd anyway). The tales of series can’t escape that fate either. We’ve had Tales of Destiny 2 (a decent enough game but not as good as Destiny) and Tales of Symphonia: dawn of the new world. The less said about that, the better! 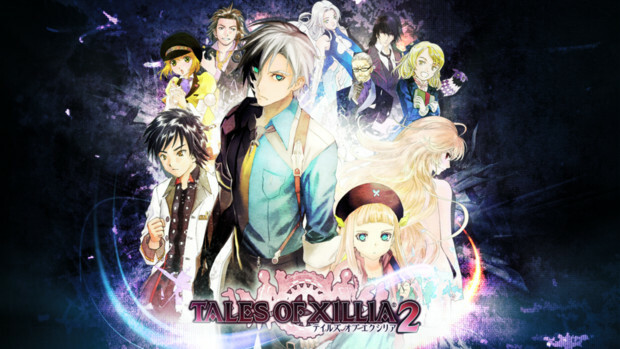 And so we come to Tales of Xillia 2, a direct sequel to Tales of Xillia which was released a year ago. Does it break the curse of the poor sequel? Erm… no. The story of Xillia 2 takes place 1 year after the events of XIllia so all that stuff you saw in the epilogue in the first game happened with only Leia really being markedly different from what the first game showed (she’s a journalist now instead of helping out at her family inn). The main character this time is Ludger Kresnik, a man with a mysterious power which allows him to go into alternate dimensions and destroy distortions within those dimensions and effectively wipe them out of existence. That kinda raises an interesting question about whether he’s destroying worlds or “merely” eliminating possibilities. Anyway, early on you meet a little girl by the name of Elle who joins up with you and you journey together. You also find ludgers brother being blamed for a terrorist attack and, due to a major event at the start of the game, you’re saddled with an immense amount of debt which you need to pay off in order to progress in the game. Gameplay-wise, Xillia 2 keeps most of the systems from the first game. This is a very good thing as Xillia is definitely one of the better entries in the series. If I took the time to get the platinum trophy for it, you know it’s doing something right! But there are some changes here and there. Not all of them for the better. Now, the game limits you to 4 characters in dungeons and the world map. You can only change your party members (assuming they are available) at towns and you can no longer swap them out during battle. Lillium orbs have been replaced with allium orbs which allow you to accumulate element points which will unlock skills and artes when you gain a certain amount of them. Some are unlocked when you have enough of 2 different elements and it’s generally less linear than the lillium orbs in Xillia but it makes it very difficult to plan your characters growth too far ahead. Attacks are now also split into strike, slash and gun attacks with enemies being strong and weak to these new attack types as well as elements. And then, there’s the debt. At certain points in the game, you need to make a payment towards clearing your debt before you are able to progress in the story. A job board allows you to take on sub-quests to bring in money to pay the debt if the main story didn’t provide enough. a neat enough idea but it tends to hinder more than make things interesting… The battle system is pretty much identical to the one seen in Xillia along with link artes and sacred artes returning for another round. The areas you visit are the same as the ones seen in the first game, although there are a few new areas and others have been expanded. Still, seeing the exact maps again in the game does feel a little lazy on the part of the devs. Allium Orbs – the new level up system is far more interesting than the lillium orbs in Xillia and allows for a much more customised level up system for characters. The only problem is that it is difficult to plan too far ahead as you cannot see what you can unlock much further up the tech tree but it definitely beats slowly filling up the web in the lillium orbs. The Skits – there’s a lot more humour in the Skits in Xillia 2 compared to its predecessors. Still not on the level of tales of Graces f but still pretty fun. Dull protagonist – No offence to Ludger but he’s boring as heck! It doesn’t help that he’s a silent protagonist after we got so used to the banter between Milla, Jude and the others. I guess it had to do with the dialogue trees in the game where you pick what he should say but would it have killed them to let him speak and have a little personality? The new attack types – As mentioned above, the battle system added new physical attack types to give enemies new immunities and weaknesses. That’s great in theory but in practice, it means that, unlike in the first game, switching control between characters is discouraged as each one is restricted to only one type of attack, which means that the characters will be weak against certain enemies. The only exception is Ludger, who is able to switch weapons so you’ll just use him for the entirety of the game. This is a marked difference from the first game where I randomly switched between Milla, Jude and Leia for kicks. The Debt – a major part of the game is the huge debt Ludger is saddled with at the start of the game. As you pay more of it off, then you’re able to proceed to new locations and progress in the story. The only problem is that it was implemented haphazardly. the game will only recognise that you have paid off the debt installment and allow you to progress if you pay the installment when the objective tells you to. If you paid it off earlier during a different part of the story, the installment resets and you have to do it again to progress. So, basically, there’s no point in paying it off early. Just wait until they call you and pay it off and then save your money until the next time they start bugging you about it. Once you reach the endgame, then you can do what you want. Oh, and your friend who also acts as your debt collector is really annoying!! So… much…. backtracking… – Unlike the first game, you will find yourself travelling back and forth from various locations from the start of the game. This in itself isn’t much of a problem but you don’t get the world map (which allows you to warp to various places you have visited previously) until you’re quite a way into the game. 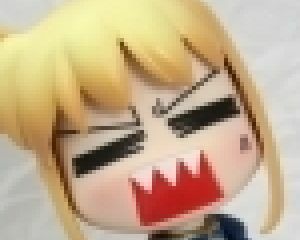 So the first few hours are massive grindfests as you traverse over the same areas over and over again to get to the desired location to complete your jobs to pay your debt to progress… It eases up a fair bit when you do get the world map but there’s still a lot of grinding and the pace of the game in general is vastly inferior to Xillia.